Travel to Australia where tourists spent a record $38.8 billion last year. Travel to Australia where Chinese visitors spent over $9 billion during their stay Down Under. Visitors from Korea and Japan each spent $1.6 billion in the past 12 months. Australia’s tourism industry is currently growing three times faster than the rest of the Australian economy, with visitors from Asia fuelling the rise. 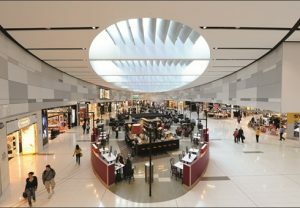 Visitors from China, Korea and Japan now contribute a combined $12.3 billion to the Australian economy. Tourism Minister Steve Ciobo says the government did not expect the new high levels of tourism to be reached until 2020. Growth of Chinese tourism is now running at around 20 per cent a year. A recently-signed agreement over air flights from China has helped to boost visitor numbers. Under the new agreement Chinese airlines will be allowed to carry unrestricted numbers of visitors to Australia. There’s also been a big rise in the number of visitors from Korea. Around 30 per cent more Korean tourists arrived Down Under in the past year. At the same time there’s been a 22 per cent increase in the number of Japanese tourists choosing to travel to visit Australia. Tasmania has seen the biggest overall increase in overseas visitors with a rise of 15 per cent, followed by Queensland, Victoria and New South Wales — all experiencing a 13 per cent increase. Visitors spent most money in NSW which received a $9.3 billion boost from tourism. Tourists spent $6.7 billion in Victoria and $5.1 billion in Queensland. South Australia has seen a 19 per cent increase in visitor spending to $970m.